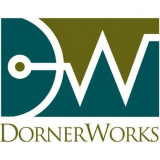 The US Defense Advanced Research Projects Agency (DARPA) has awarded DornerWorks a Small Business Innovation Research (SBIR) Phase I contract for topic SB172-008 “Ecosystem of Secure Software Components around the seL4 Microkernel” with the project title of “The seL4 Microkernel on a Secure RISC-V Processor.” DornerWorks has been contracted to develop techniques for building secure systems by marrying formally proven software in the form of the seL4 microkernel with provably correct hardware. Together with partner Draper, DornerWorks aims to remove one of the most significant areas of uncertainty in secure systems, the hardware itself, by bringing seL4 to Draper’s Inherently Secure Processor. The seL4 microkernel was verified using formal methods, providing strong assurance of the security guarantees of the operating system that are needed for systems requiring high degrees of security and/or safety. However seL4 makes generous assumptions about the correctness of the hardware on which the microkernel is being run. These assumptions are required because the most commonly used processor architectures are proprietary and often contain undocumented functionality. While general cybersecurity approaches have focused on perimeter defenses like passwords and firewalls, Draper Inherently Secure Processor is built with security as a fundamental principle. By using proven hardware extensions to the open RISC-V ISA in a custom System on Chip, many common vulnerabilities can be eliminated with minimal changes to software. The combination of these two technologies offers an approach to system security that cannot be met by software alone.